The EU Group is a network of professionally accredited, multicultural, high-ranking business schools established in 1973. In addition to small, dynamic classes offered in English, EU students also enjoy a global environment while getting the best of both North American and European academic curricula. The EU Group has a global network of campuses, and encourages students to participate in exchange opportunities within the EU Group in Barcelona, Geneva, Montreux and Munich, and with partner institutions in U.S.A., China, U.K., Thailand, Malaysia, Taiwan, Mexico, Brazil, Kazakhstan, Canada and Russia among others. The School continuously explore affiliation opportunities with world-class universities. These give students the opportunity to participate in programs with the University of Roehampton in London and earn U.K. state-recognized degrees on our campuses. Partnerships with other universities also offer students the chance to study a further qualification in diverse and enriching environments. EU's graduate programs are tailor-made to accommodate each candidate's needs. They offer a variety of degree specializations, from the traditional to the most up-to-date areas of the international business world. The MBA programs last one year full-time (three terms of 10 weeks each) or two years part-time. The first two terms cover the essential skills for understanding master's level business concepts. The last term focuses on the candidate’s specialization. EU opened its online campus in 2012, anticipating upward corporate mobility trends and the busy schedules of business professionals. 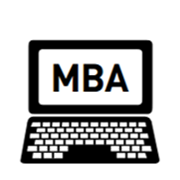 Through flexible schedules and multimedia tools, students are able to obtain a fully accredited, award-winning Online MBA. Graduate students have the opportunity to obtain a U.K.-accredited degree issued by the University of Roehampton separately, or in addition to their EU qualification by presenting an additional dissertation. EU Group programs are accredited by the Accreditation Council for Business Schools and Programs (ACBSP) and the International Assembly for Collegiate Business Education (IACBE), recognized by the Council for Higher Education Accreditation (CHEA). EU Business School also holds International Quality Accreditation (IQA) awarded by the Central and East European Management Development Association (CEEMAN). In addition, the EU Group is accredited by EduQua, the first Swiss quality label geared toward adult further education. Official qualifications are offered at the master’s levels with our U.K. partners, public universities recognized by the NARIC and audited by the QAA. 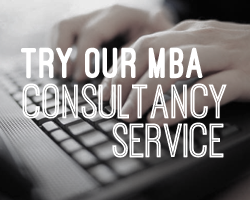 Fill out your details to get in touch with EU Business School and find out more about their programs. The EU Business School MBA programs secure the top spot in CEO Magazine's 2015 Global MBA Rankings.